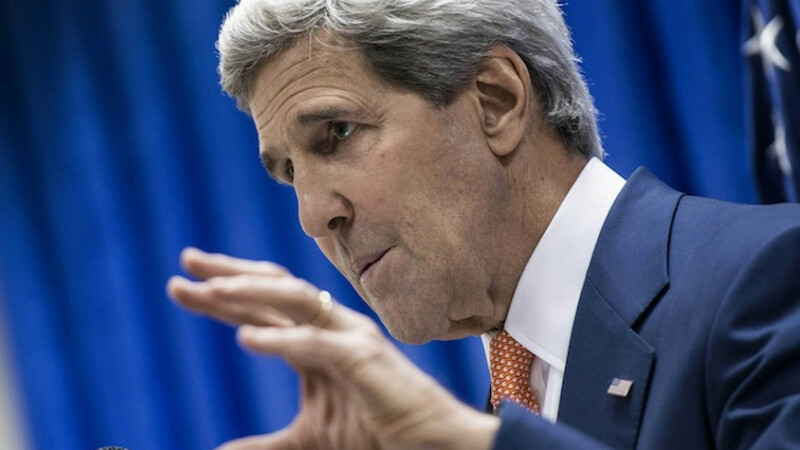 US Secretary of State John Kerry said Russia should call on separatists in Ukraine to disarm within "the next hours". “We are in full agreement that it is critical for Russia to show in the next hours, literally, that they are moving to help disarm the separatists, to encourage them to disarm, to call on them to lay down their weapons and to begin to become part of a legitimate process,” Kerry told reporters in Paris. He noted that EU leaders would discuss possible sanctions moves on Russia at their summit starting Thursday. The State Department later clarified that Kerry was not speaking about possible sanctions timing when he said Russia had "hours" to move on disarming Ukraine separatists, the State Department said on Thursday. "The secretary wasn't outlining specific timing for additional sanctions but underscoring the need that this needs to happen quickly," spokeswoman Marie Harf told reporters in a briefing. "We've been very clear that we remain prepared to impose additional sanctions, including sectoral, should circumstances warrant," she also said. "We have in place the infrastructure to do this very quickly if we want to."